When it comes to creating outdoor spaces with style, small elements can go a long way toward expressing the theme and design of your park. If you are working on a contemporary themed space, consider the Flare Bike Rack to be an eye catching, durable and practical alternative to the classic bicycle rack design. 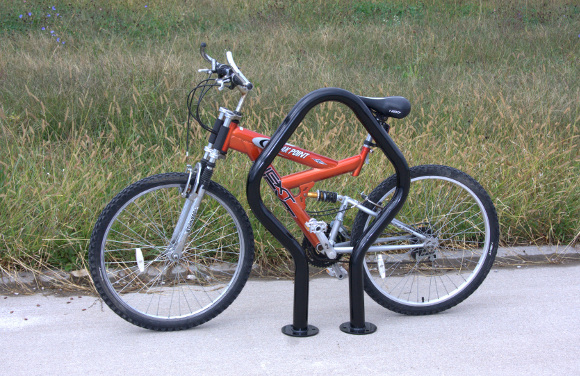 With more people opting to take alternate transportation, including cycling, it is important to provide the accommodations to safely store bicycles to prevent damage to surrounding park equipment, or even landscaping such as trees which are often used in lieu of an available bike rack. Protect your property and welcome cyclists by providing a practical alternative instead. The Association of Pedestrian and Bicycle Professionals recommend bicycle racks that: 1) Support the bike in at least two places, preventing tipping over, 2) Allows locking of the frame and one or both wheels with a U-lock, 3) Resists cutting, rusting, and bending or deformation, and 4) Is securely anchored to the ground. 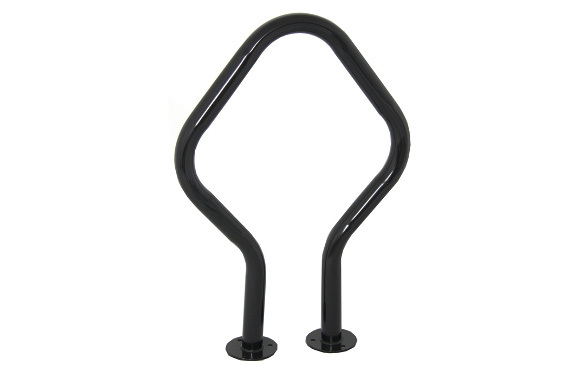 The Flare Bike Rack, and all bike racks we offer, meet these recommendations. The Flare Rack accommodates up to 2 bikes. Dimensions are 38-7/16 in height x 26 1/4 in width. Framework is a sturdy 2-3/8 O.D. galvanized pipe. Five year limited warranty available. Both surface mount and in-ground mount options are available. Available in powder coated or hot dipped galvanized finish in a variety of color options. 8-50 lb bags of concrete mix recommended for in-ground installation (not included). At American Parks Company we take pride in providing stylish, affordable and durable site furnishings for parks and playgrounds nationwide. We serve churches, schools, municipalities, HOA, residential, and private projects coast to coast with more than thirty-years of park and playground experience. Call us and speak to one of our customer service representatives. 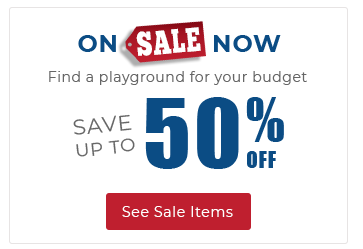 Well help you take your ideas from planning to installation with affordable commercial grade park and playground site furnishings.